In this post I will give you all the tools I’ve personally found to help myself and my clients for How To Go Into A Job Interview With Confidence. 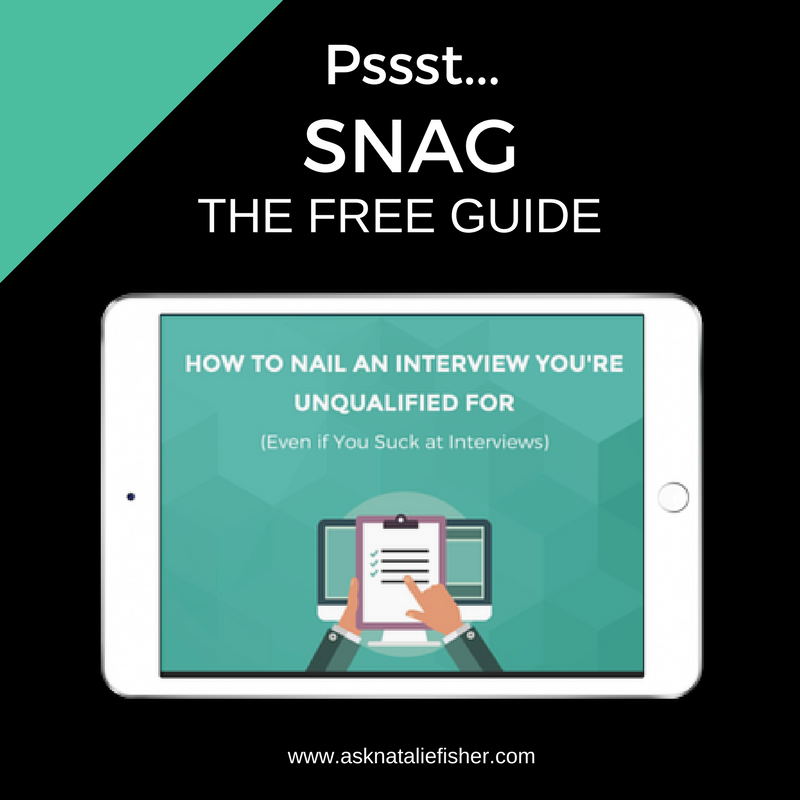 If you want the best resource online for How To Go Into A Job Interview With Confidence you’ve come to the right place. I cover the topic from different angles. Not just tactic and strategy but more importantly mindset as well. An interview is really 80% mindset and 20% mechanics. A winning mindset is that of high intention and low attachment. Meaning you prepare as best you can and you are ready for anything that comes at you, but you don’t have a death grip on the outcome either, because that breathes desperation and it shows up in how you communicate. I remember we conducted an interview for a new receptionist at my previous company, and when the candidate left, we looked at eachother and the HR manager at the time said: “I felt like if we didn’t hire her, she wouldn’t be able to feed her kids next week”. Of course we can’t hire people because we feel sorry for them, or because they just really really badly want the job. So it does no good at all to be that fixated on the outcome. You gain nothing from this other than breathing desperation all over the interviewers, and they can feel that no matter how much you think you’re hiding it. Plus think about it this way, you didn’t have the job when you walked in, so why be so attached to something that isn’t even yours yet? Really you have nothing to lose. Because you can’t lose something you never had to start with. Trusting that whatever happens will be for your highest good. If you do get the job that’s great, if they like you enough to hire you and you are the best fit, then great. If you don’t get the job that’s also great because you may not have ended up enjoying it anyways. Asking the right questions will help you determine the right fit. If you go on as many interviews as you can you will start to get better and better at it. It’s lucky for someone to go in and get the first job they interview for and if they do it’s likely that they knew someone before that and were able to do this because they had a prior history with the person they were interviewing with or they were recommended. If you are able to practice before hand and get some objective feedback from someone you trust before the interview this will help you a lot. When you go into an interview and you don’t know the people your job is to prove yourself. Most candidates do a pretty poor job of this. They normally just answer questions. All candidates do that so it doesn’t stand out. You really need to go above and beyond for an interview if you want to get the job. This means researching the company in the right way. It means researching your specific likes and dislikes about the company so that you can answer questions effectively when they ask you “Why do you want to work here” or “What do you know about us?”. It means finding out what you can specifically do to get the company to their goals (why are they hiring you) What goals do they want to achieve and how can you specifically help them with these things. A lot of candidates don’t think about these things. 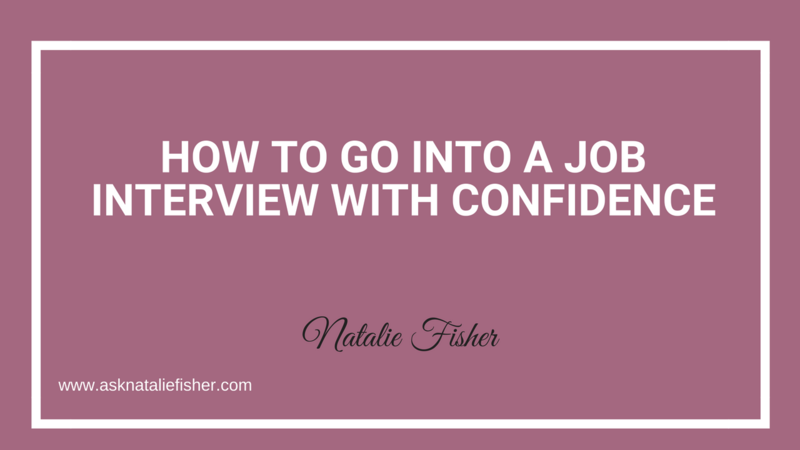 How To Go Into A Job Interview With Confidence is not just about asking the questions. It’s about the questions that you ask them, what you do with that information and how you articulate your value around what they need right now. The more you can get discussing what they need and how they are doing things now the better you’ll be to make a plan for how you’ll tackle the role and how you’ll show up in the role. When you’re able to provide examples of your past work, or your past history of doing similar work or handling similar situations the better off you will be. You want to leave the room and write down all the questions you remember them asking you and giving yourself a 1-10 score for how you answered them. Maybe I’m just a geek but that’s what I do. I love interviewing I love the art and science of getting better at this, knowing that I can ace any interview. I may not get every job offer, and that’s ok. No one likes everyone, not everyone is the right fit for every company and that’s normal. But I know I can ace an interview. So once you’re done, you want to send an immediate follow up note and not wait until the end of the day to do it. Then you want to make sure you harvest those lessons and that experience from that interview before you forget it. If you don’t get the job not all is lost. You can still get an opportunity at that company even years later. I had a client who interviewed for a company, she didn’t get the job, and she used my method to follow up and she was offered an even better position a year later, that was more in line with her skills. She was even more excited because the first position was more in content creation, where as her interest was more in analytics and marketing data related tasks. She was thrilled. So if you don’t get the opportunity the first time around don’t despair. Not all is lost. An interview is never an experience that is wasted. It’s a useful experience for you because you have now more knowledge about interviewing and you’re even more ready for the next one. You’ve made a valuable networking connection, and you’re even more confident for future interviews in your life. I hope this post has helped you with How To Go Into A Job Interview With Confidence. I believe you will be set up for success if you follow the strategies and take into consideration the information I’ve offered you. I have become the interview expert since all my days have been spent sitting in interviews and listening to all types of people answer interview questions. I love interviewing and it’s one of my favourite things. When you know How To Go Into A Job Interview With Confidence you truly become the best candidate. Do you have any other ways that haven’t been covered in this article that would help someone prepare for a job interview?